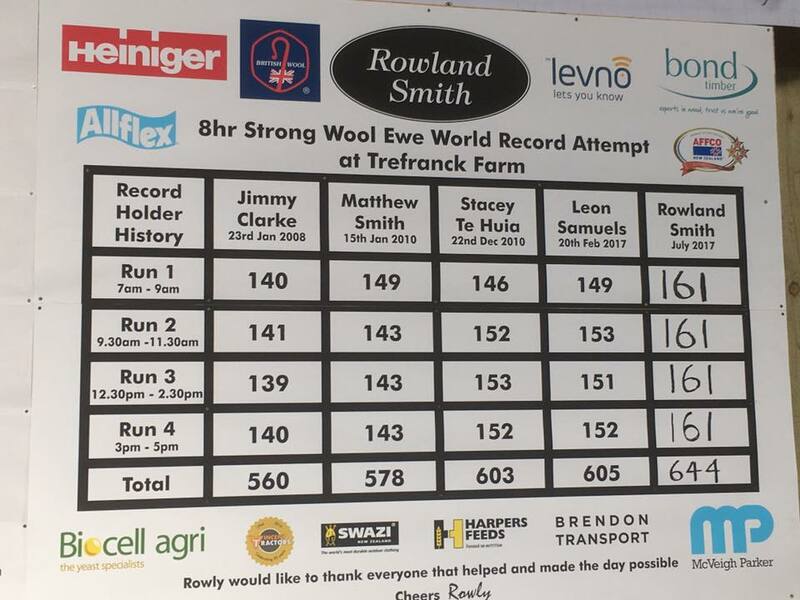 A New Zealander has smashed the record for the number sheep sheared in a 8 hour period on a farm in Cornwall. The 30-year-old father-of-two shore 644 romney and crossbred ewes in eight hours at Trefranck Farm, near St Clether, in Cornwall. 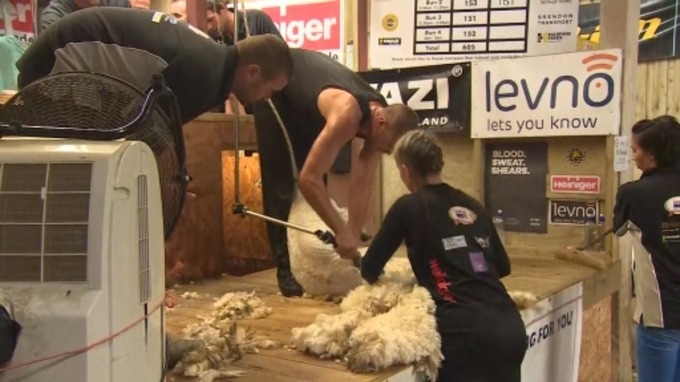 This topped the previous record of 605 set by Invercargill shearer Leon Samuels in Southland on February 20 this year. 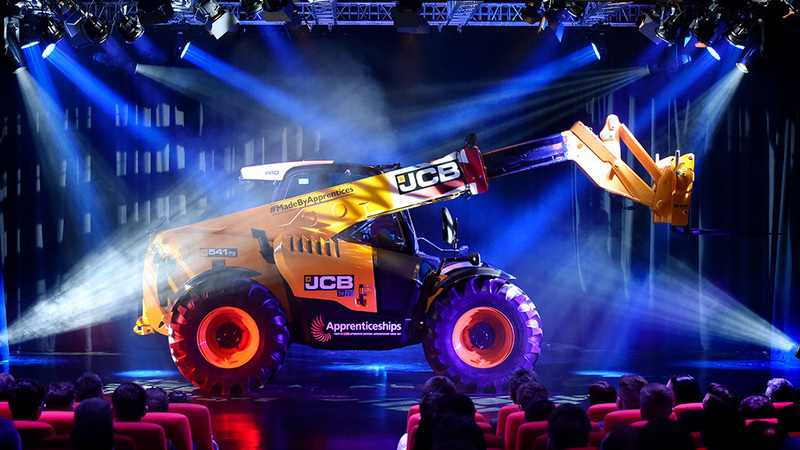 The whole event was streamed live online. Rowland successfully sheared each sheep in less than 47 seconds. He decided not to go head to head with his older brother Matt who holds the 9-hour world sheep shearing record. Rowland’s attempt was being supported by British Wool, and had a team of 57 volunteers from New Zealand, England, Wales and Ireland to behind him to help, guiding the sheep into the pens and removing and wrapping the wool. While he averaged 44.72 seconds a sheep caught, shorn and despatched, and with cutter changes every 15 minutes, the shearing time on the sheep, each carrying over 3kg of wool, regularly cut under 35 seconds. In his record five months ago Samuels shore successive two-hour runs of 149, 153, 151 and 152, averaging 47.6 seconds a sheep.